This discussion is a very interesting experimental model for the elucidation of plaque rupture in acute coronary syndromes. The knowledge exists that there is a series of steps in develoiping atheromatous plaque. We also know that platelets and endothelium are the location of this pathological development. We don’t know exactly the role or mechanism of the contribution of hyperlipidemia, and what triggers plaque rupture. This work reported is an experimental rabbit model that sheds light on the triggering of plaque rupture. From the Institute for Prevention of Cardiovascular Disease, Cardiovascular Division (G.S.A., S.E.F., G.H.T., J.E.M. ), and the Department of Pathology (C.S.A., M.F. ), Deaconess Hospital, Harvard Medical School, Boston, Mass; the Department of Pharmacology, Federal University and University of Passo Fundo (P.D.P. ), Rio Grande de Sul, Brazil; the Heart Institute, University of São Paulo (O.C.G. ), São Paulo, Brazil; and the First Department of Internal Medicine, National Defense Medical College (A.K. ), Saitama, Japan. It is now recognized that plaque disruption and thrombosis, a process often triggered by activities of the patient, is generally the cause of the onset of acute coronary syndromes. Understanding of disease onset could be greatly enhanced by the availability of a suitable animal model of plaque disruption and thrombosis. The aim of this study was to replicate and further characterize an atherosclerotic rabbit model of triggering of arterial thrombosis that was introduced by Constantinides and Chakravarti more than 30 years ago but not subsequently used. Aortic plaques were induced by a high-cholesterol diet, by mechanical balloon injury of the artery, or by a combination of the two. Triggering was attempted by injection of Russell’s viper venom (RVV), which is a proteolytic procoagulant, and histamine. rabbits in group IV (n=14) underwent balloon-induced arterial wall injury, then were given a diet of 1% cholesterol for 2 months followed by a regular diet for 2 months for a total of 4 months. After completion of the preparatory regimen, triggering of plaque disruption and thrombosis was attempted by injection of RVV (0.15 mg/kg IP) and histamine (0.02 mg/kg IV). In group I, normal control rabbits without atherosclerosis, only one small thrombus was noted in 1 of 9 rabbits. In group II, cholesterol-fed rabbits, thrombosis occurred in 3 of 13 rabbits. Thrombus occurred in all rabbits in group III (5 of 5) and in 10 of 14 rabbits in group IV. 263±222 mm^2 in group IV. Rabbits in groups III and IV had the greatest amount of thrombus, and this amount was significantly greater than in rabbits in groups I and II (P<.001 and P<.03, respectively). A suitable animal model is available for the study of plaque disruption and arterial thrombosis. normal arteries were relatively resistant to triggering. This model provides a method to evaluate agents that might decrease the occurrence of vulnerable plaques or the amount of thrombus formed after triggering. Most important, the model can be used to identify the features of vulnerable plaques and the pharmacological stressors that trigger plaque disruption and thrombus formation. Plaque disruption and subsequent arterial thrombosis are now recognized as critical to the onset of acute coronary ischemic syndromes. It is hypothesized that occurrence of thrombotic coronary occlusion has three components. First, a plaque that is vulnerable to disruption must be present. Second, acute physiological events are required to induce plaque disruption and thrombosis. Third, a relatively hypercoagulable state and heightened vasomotor tone increase the likelihood that arterial thrombosis will produce complete lumen occlusion. Recent epidemiological studies of human patients with myocardial infarction have demonstrated that in many cases a triggering activity, such as physical exertion, precipitates the acute onset of the disorder. Although a better understanding of plaque vulnerability and triggering would be of great value, knowledge of this process is limited because human studies are difficult and a suitable animal model has not been used. In human patients, the opportunity to study factors responsible for acute onset of myocardial infarction is limited because coronary angiography performed before the event cannot prospectively identify plaques vulnerable to disruption. (9) After the event, angiography cannot distinguish the features of the plaque responsible for the disruption from those resulting from the disruption. (10) Although findings at autopsy provide detailed information about plaque disruption, these observations may be biased toward more advanced disease, since plaque disruptions producing total vascular occlusion and death may be more severe than those occurring in asymptomatic individuals or in patients with unstable angina or nonfatal myocardial infarction. These difficulties, inherent in the study of plaque disruption and thrombosis in human patients, create a great need for an animal model of the process. More than 30 years ago, Constantinides and Chakravarti(13) developed such a model in atherosclerotic rabbits. Atherosclerotic plaques were produced in New Zealand White rabbits by intermittent cholesterol feeding. Triggering of plaque disruption and thrombosis was then accomplished by intraperitoneal injection of Russell’s viper venom (RVV, a procoagulant and endothelial toxin) followed by the intravenous injection of histamine, a vasopressor in rabbits. The aortas of the rabbits were then found to have disrupted atherosclerotic plaques with overlying platelet-rich thrombi. The advantage of the Constantinides model over other animal models used to study thrombosis is that it uses a biological intervention to trigger localized atherosclerotic plaque disruption and formation of platelet-rich arterial thrombi. The model facilitates the study of the process because the investigator determines when disruption and thrombosis will occur. (2) the long (8-month) preparatory period. In addition, there is a need to replicate the findings of Constantinides and Chakravarti(13) from 30 years ago because of the biological variability of rabbit strains and RVV. It cannot be assumed that the rabbits and RVV currently available will produce the results obtained in the 1960s. In this study, we attempted to reproduce the original model of Constantinides.13 In addition, we wanted to determine whether mechanical injury to the aorta early in the preparatory phase could enhance the development of vulnerable plaques, thereby increasing the yield of disrupted plaques and shortening the preparatory period. Fifty-three New Zealand White rabbits weighing between 2 and 3 kg were started on the experimental protocol; 41 survived until the time of attempted triggering. In these 41 rabbits, four dietary and interventional regimens were used in preparation for attempted triggering (Fig 1⇓). The control group, group I, consisted of normal rabbits (n=9) that were fed a regular diet for 8 months. Group II rabbits (n=13) were fed a high-cholesterol diet (1% cholesterol, ICN) for 2 months alternated with 2 months of a regular diet for a total of 8 months.15 Rabbits in group III (n=5) underwent balloon-induced arterial injury and were maintained on a regular diet for 8 months. Rabbits in group IV (n=14) underwent balloon-induced arterial injury, were maintained on a 1% cholesterol diet for 2 months, then were given a regular diet for 2 months for a total of 4 months. Balloon-induced arterial wall injury of the aorta was performed with a 4F Fogarty catheter introduced through a femoral artery cutdown. The catheter was advanced in a retrograde fashion to the aortic valve and then withdrawn 3 cm. The balloon was inflated with 1.5 cm3 of air, and the catheter was retracted down to the iliofemoral artery. This was repeated three times in each rabbit as cm3 described previously.16 Rabbits were anesthetized with ketamine (50 mg/kg IM) and xylazine (20 mg/kg IM). Of the 12 rabbits that died during the preparatory period, 5 were in group II, 2 in group III, and 5 in group IV. Seven of the 12 rabbits that died prematurely underwent an autopsy, and none had evidence of plaque disruption or arterial thrombosis. The causes of death included respiratory infection and liver failure from lipid infiltration. The triggering agents RVV (Sigma Chemical Co) and histamine (Eli Lilly) were administered according to the method of Constantinides and Chakravarti. (13) RVV (0.15 mg/kg) was given by intraperitoneal injection 48 and 24 hours before the rabbits were killed. Thirty minutes after each RVV injection, histamine (0.02 mg/kg) was administered intravenously through an ear vein. Rabbits were killed by an overdose of intravenous pentobarbital and potassium chloride. The aorta and iliofemoral arteries were dissected and excised, and the intimal surface was exposed by an anterior longitudinal incision of the vessel. The total surface area of the aorta, from the aortic arch to the distal common iliac branches, was measured. The surface area covered with atherosclerotic plaque and the surface area covered with antemortem thrombus were then determined. Images of the arterial surface were collected with a color charge-coupled device camera (TM 54, Pulnix) and digitized by an IBM PC/AT computer with a color image processing subsystem. The digitized images were calibrated by use of a graticule, and surface areas were measured by use of a customized quantitative image analysis package. Tissue samples (1 cm in length) were taken from the thoracic aorta, 3 and 6 cm distal to the aortic valve; from the abdominal aorta, 7 and 4 cm proximal to the iliac bifurcation; and from the iliofemoral arteries. and prepared for and examined by light microscopy and they were examined by quantitative colorimetric assay. Electron microscopy was also carried out with a Hitachi 600 microscope. Biochemical analysis was done for tissue cholesterol. Free cholesterol and cholesteryl esters in the aorta were determined by high-performance liquid chromatography (HPLC) on the basis of the method of Kim and Chung. Each sample of aorta was ground to a fine powder with anhydrous sodium sulfate and extracted twice with 5 mL chloroform: methanol (2:1). The extract was dried under nitrogen and redissolved in 5 mL isopropanol. Serum cholesterol, plasma fibrinogen, and platelet counts were done. Overall comparison among the four groups was conducted with Fisher’s exact test and the Kruskal-Wallis test for discrete and continuous data, respectively. Comparisons between any two groups of rabbits were made by an exact Wilcoxon midrank test.23 P<.05 was considered statistically significant, and measured data were reported as mean±SD. In the 41 rabbits that underwent attempted triggering, the frequency of plaque disruption and focal thrombosis varied markedly depending on the type of preparatory regimen. In group I, only 1 of 9 control rabbits developed a thrombus. This was a small white thrombus with a surface area of 2 mm^2. Three of the 13 rabbits in group II on a 1% cholesterol diet developed white thrombi, all of which were small but were larger than that observed in group I (mean surface area, 15.3±19.2 mm^2). In group III, each of the 5 rabbits that had balloon-induced arterial wall injury developed large white thrombi (mean surface area, 223.0±119 mm^2). Ten of 14 group IV rabbits, with combined arterial wall injury and a high-cholesterol diet, developed white thrombi, all of which were large (mean surface area, 263.0±222 mm^2). Both the frequency of occurrence and the amount of thrombus formation were significantly different among all four groups (P<.001 and P<.0001, respectively). However, the frequency and the amount of thrombus formation tested individually between groups I and II were not statistically different. The average surface area covered by thrombi in rabbits from groups III and IV was significantly greater than that observed in group II (P=.03 and P=.02) or group I (P=.001 and P=.001) rabbits. The average surface area covered by thrombi did not significantly differ between rabbits in group III versus those in group IV. No white thrombi were noted in the ascending aorta or the aortic arch. In the non–balloon-treated rabbits in groups I and II, only 1 of 5 thrombi was in the abdominal aorta. In the balloon-injured rabbits in groups III and IV, the thrombi were almost evenly distributed between the thoracic and abdominal aorta (48 versus 66). There were more thrombi in the balloon-injured rabbits than in the non–balloon-injured rabbits (P<.002). The plaque surface area was significantly different among the four groups (P<.0001). Plaque was present in all the rabbits that were maintained on a high-cholesterol diet or that had balloon-induced arterial injury. The plaque distribution for each group is shown in Fig 4⇓. (not shown) Individual comparisons showed a larger amount of plaque in rabbits from groups III and IV than in those from group II (P=.04 and P=.001, respectively). There was no significant difference in the amount of the plaque in group III versus group IV rabbits. The Table demonstrates the relations of the various groups regarding frequency of disruption with the amount of thrombus formation and plaque surface area. The intima in group I rabbits appeared normal by gross inspection. In group II rabbits, white-yellow plaque was widely distributed over the arterial surface, with focal punctate ulceration occasionally noted under a dissecting microscope. In group III rabbits, the intima was smooth and widely covered with white plaque. Group IV rabbits had extensive sheets of elevated white-yellow plaque. By gross visualization, ulceration of the surface was present without superimposed thrombus in two rabbits in group IV. Over 4500 tissue sections were prepared and evaluated. Light microscopy of arterial samples from group I showed normal vascular histology. Group II samples had a predominance of foam cell infiltration of the intima surrounded with connective tissue. Group III samples had fibromuscular plaque composed mostly of muscular cell elements and minimal fibroconnective tissue. This was confirmed by Masson’s trichrome stains showing mostly red muscle cells and minimal blue fibrous tissue. Group IV samples had extensive plaque with an infiltration predominantly composed of foam cells. Light microscopic examination of adjacent serial sections from thrombosis sites revealed platelet-rich thrombi with interrupted but long adhesion sites to the arterial wall over most of their length. Early organization and inflammatory cell infiltration were present within the thrombi. In sections from groups II and IV, some areas of plaque directly adjacent to the thrombi had marked thinning of the connective tissue cap and areas of dehiscent foam cells,. These observations were rare and were noted in <0.5% of the examined lesions. In most cases, the arterial thrombus was not located at a site of obvious plaque rupture. Foam cell infiltration was also noted adjacent to sites of thrombosis. A, Light micrograph shows that degenerated foam cells are present in a large cavity below a cap separating the cavity from the intimal surface of thoracic aorta from a rabbit in group IV (Movat’s pentachrome, magnification ×40). B, Light micrograph of large thrombus attached to the luminal surface of the thoracic aorta in the same rabbit shown in A. The cavitation is seen below the thrombus, and the intimal surface is markedly thinned (Masson’s trichrome, magnification ×16). C, Light micrograph of thrombus overlying a region of plaque with a large accumulation of foam cells from a rabbit in group IV. The free edges of the thrombus correspond to the underlying contour of the plaque, which suggests that the thrombus became detached during fixation (Masson’s trichrome, magnification ×25). D, Light micrograph of thrombus from the abdominal aorta in a rabbit from group IV, 48 hours after triggering. The thrombus is firmly attached and becoming organized. The yellow stain represents red blood cells, and the fibrin and platelets appear pink (Carstair’s stain, magnification ×25). The degree of blue staining indicative of fibrous tissue in Masson’s trichrome–prepared slides was greatest in group II samples, as represented by values closer to the pure blue region (0.0) on CIE coordinates. Group II samples (0.33±0.046, mean±SD) were more blue than group III (0.43±0.06, P<.001) or group IV samples (0.38±0.05, P<.001). The degree of blue staining was not statistically different between samples from groups III and IV. Scanning electron microscopy demonstrated fissures of various lengths below areas from which overlying thrombi were removed. Endothelial cells could be seen lining the intimal surface of the aorta in the rabbits that had undergone balloon-induced arterial wall injury 8 months earlier. Surface blebs and focal endothelial breakdown with ulcer formation, without grossly visible thrombosis, were occasionally seen in samples from groups II and IV. The base of these ulcers was layered with platelets, fibrin, and red blood cells. Transmission electron microscopy of areas with thrombosis confirms that the thrombi were platelet rich. Baseline serum cholesterol for all rabbits was 50±25 mg/dL and did not differ among the four groups. In rabbits in groups II and IV, which received cholesterol feeding, serum cholesterol rose to an average peak level of 2500± 1200 mg/dL. In the two groups that received cholesterol feeding, the total cholesterol content in tissue samples pooled from the thoracic and abdominal aorta was significantly higher in group IV (16±7.2 mg/g) than in group II (2.8±1.6 mg/g) (P<.0001). Rabbits that were maintained on a regular diet (groups I and III) had equally low levels of tissue cholesterol (0.05±0.04 versus 0.06±0.02 mg/g, P=NS). The average fibrinogen level before triggering in the 27 rabbits in which fibrinogen was measured was 210±119 mg/dL; it rose to 403±168 mg/dL 48 hours after triggering (P<.001). Plasma fibrinolytic activity did not change after triggering (85.5±37.8 versus 94.8±33.5 arbitrary units). Platelet counts (measured in only 19 rabbits in groups II and IV) decreased from 350±84×103 to 215±116×103 per cubic millimeter after triggering (P<.001). White blood cell count did not decrease after triggering (12.8±13.0 versus 12.8±7.1×103 cells per cubic millimeter). However, the hematocrit dropped from 35.7±3.8% to 32.0±5.8% (P<.0002). The results demonstrate that vulnerable plaques can be produced and that plaque disruption and platelet-rich arterial thrombus formation may be triggered pharmacologically in an animal model of arterial plaque. This finding documents that the New Zealand White rabbit strains and the RVV currently available can be used to obtain the same results observed by Constantinides and Chakravarti(13) more than 30 years ago. The frequency of successful triggering was dependent on the type of preparatory regimen used. In control rabbits maintained on a regular diet, only 1 of 9 developed a small thrombus after injection of the triggering agents. Although rabbits fed a high-cholesterol diet had more thrombosis after triggering, the values were not statistically different between rabbits in groups I and II. 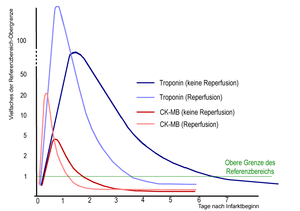 In other studies of triggering of cholesterol-fed rabbits, a total of 7 of 30 rabbits have developed thrombi, but this also does not achieve statistical significance (unpublished data, 1994). The number of rabbits studied may have been too low to demonstrate a moderate difference of thrombus occurrence. However, earlier work by Constantinides and Chakravarti(13 24) demonstrated a frequency of thrombi in 1 of 22 rabbits not fed cholesterol versus 22 of 77 rabbits fed cholesterol, which does achieve statistical significance (P<.02). This indicates that a larger sample may demonstrate a difference between groups I and II and that cholesterol feeding increases the likelihood of the disruption and thrombosis process in the rabbit model. Thus, our results in conjunction with those of Constantinides and Chakravarti suggest that thrombosis triggered by RVV and histamine may be facilitated in the presence of atherosclerosis. However, these observations do not preclude the possibility of thrombosis in a normal artery, which can be induced by injury from various triggers. Rabbits subjected to arterial balloon injury developed extensive thrombosis only after triggering, as did rabbits subjected to both arterial injury and a high-cholesterol diet. Thus, a high-cholesterol diet especially in the presence of mechanical injury is capable of producing a plaque vulnerable to disruption and thrombosis by triggering with RVV and histamine. The technique of pulsed cholesterol feeding used in this study has been shown to be an effective method of producing experimental atherosclerosis, as have continuous cholesterol feeding regimens. Recently, it has been demonstrated that cholesterol feeding induces an upregulation of vascular cell adhesion molecule-1 in rabbit endothelium. This may predispose a site to monocyte adhesion and migration into the subendothelial space. Continued macrophage accumulation may make the site particularly vulnerable to disruption and thrombosis. Autopsy studies in humans have led to the hypothesis that a lesion with a lipid pool beneath a thin cap is particularly vulnerable to disruption and thrombosis.4 5 This morphology has been shown to generate stress concentrations that would predispose a plaque to disrupt. Although sites with lipid pools and thin caps were noted in the present study, their occurrence was too limited to permit studies to determine whether these were sites particularly prone to thrombosis. Cholesterol feeding for 2 years may be required to produce a sufficient number of such lesions to determine their vulnerability to disruption. An important finding of this study is that vulnerability to disruption and thrombosis was present 8 months after deendothelialization with balloon-induced arterial wall injury in rabbits on a regular diet (group III). This occurred in the presence of a regenerated endothelium overlying a diffuse fibromuscular plaque. Previous reports have demonstrated that endothelium that regenerates after balloon deendothelialization is physiologically dysfunctional for a prolonged period. From our study, it appears that endothelial function is compromised in its role as a thrombosis-resistant surface over a long period as well. An important factor that may contribute to the altered function is the presence of underlying plaque. Among its numerous constituents, RVV contains proteases that activate factors V and X. 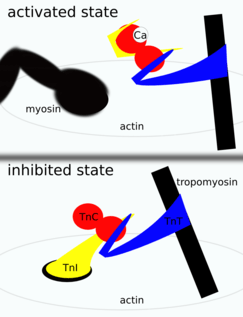 Such activation leads to thrombosis, which is most likely to occur at sites of cell injury. In addition to this procoagulant effect, RVV is a direct endothelial toxin.31 However, in the absence of arterial abnormalities produced by cholesterol feeding or other means, RVV alone or in combination with a vasoconstrictor agent rarely produces thrombosis.4 The increase in fibrinogen levels and the stability of hematological factors during triggering indicate that RVV does not act by producing a disseminated coagulopathy. The localization of thrombus at focal arterial sites is further evidence that this model does not merely produce a nonspecific thrombotic effect. Histamine is an arterial vasoconstrictor in rabbits. This effect is mediated by an H1 receptor that regulates release of norepinephrine at the presynaptic norepinephrine sites. Histamine may contribute to plaque disruption by raising the arterial pressure and stress on the plaque and/or by the development of vasospasm. Other, similar agents, thromboxane A2 and serotonin, also have been shown to result in severe vasoconstriction of epicardial coronary arteries that is mediated by platelet deposition at stenosed sites. This is a unique model that combines features of several other animal models that have been used to study atherosclerosis and thrombosis. With regard to thrombosis, the model provides the opportunity to extend observations previously made in other animal models of thrombosis to the special conditions surrounding triggering of acute cardiovascular syndromes. While the model of Folts et al has been invaluable in assessing enhanced platelet deposition in dog and pig coronary arteries, it requires both endothelial injury and the production of a 60% to 70% lumen stenosis. Moreover, it does not use an atherosclerotic artery with a vulnerable plaque. Badimon et al used a flow chamber to evaluate platelet deposition on activated arterial surfaces. They demonstrated that deep arterial injury results in more thrombus formation than superficial injury. However, their model does not recreate the in vivo environment or provide an opportunity for evaluation of various thrombogenic sites, as does the model presented in this study. Certain features of the lesions seen in this model are similar to those of human lesions seen at autopsy of patients with fatal myocardial infarction, ie, a lesion with a fissured collagen cap overlying a lipid mass of amorphous and crystalline lipid. However, most of the lesions in the model did not have these features and were more consistent with a recent pathological study of fatal coronary thrombosis, which revealed that in approximately half the cases, the plaque was relatively intact but an inflammatory infiltrate was present.36 Perhaps the incidence of plaque rupture causing thrombus may be even lower in patients with nonfatal coronary thrombosis, as suggested from angioscopic studies of coronary arteries that have shown plaque ulceration of various severities. Although the model we used produced lesions with many similarities to the nonruptured lesions described in patients, extension of this preparation for a 2-year period has been documented to produce lesions with deep fissures similar to those observed in many patients with fatal coronary thrombosis. Also, use of balloon injury in this model to enhance plaque development resulted in plaques that were morphologically similar to advanced plaques induced by the alternating high-cholesterol diet. Analyses of human plaques have demonstrated that disrupted plaques have significantly less collagen, glycosaminoglycans, and smooth muscle cells and more extracellular lipid and macrophages than do nondisrupted plaques. This is consistent with findings in our study that rabbits in group II had more connective tissue and a lower rate of disruption and thrombosis than those in groups III and IV. Perhaps the major limitation of this study is that it used a complex pharmacological mixture as the trigger, which makes speculation on the mechanism of action difficult. Further studies will be necessary to determine which components of RVV and histamine are responsible for the focal thrombosis. The observation that large, platelet-rich thrombi can be obtained by triggering in animals with underlying plaques produced by cholesterol feeding or by balloon injury broadens the types of plaque that can be studied for vulnerability. Various types of preparatory regimens could be studied for their ability to promote or retard the development of vulnerable plaque. The model also can be used to test pharmacological agents that may reduce the development of vulnerable atherosclerotic plaques, such as lipid-lowering agents, antioxidants, calcium channel blocking agents, and angiotensin-converting enzyme inhibitors. Antiplatelet and other antithrombotic drug therapies can be tested for the ability to reduce the amount of thrombus complicating plaque disruption. Finally, the model can be used to characterize the biochemical and cellular bases for plaque vulnerability by comparing the features of sites that do and do not develop thrombi soon after triggering. 3 Friedman M, van den Bovenkamp GJ. The pathogenesis of a coronary thrombus. Am J Pathol. 1966;80:19-44. 4 Constantinides P. Plaque fissures in human coronary thrombosis. J Atheroscler Res. 1966;6:1-17. 14 Runge RS, Haber E. Animal models for the study of thrombolysis in vivo. Circulation. 1991;83(suppl IV): IV-1-IV-2. Abstract. 15 Constantinides P, Booth J, Carlson G. Production of advanced cholesterol atherosclerosis in the rabbit. Arch Pathol. 1960;70:80-92. Based on an absolute rise of high-sensitivity cardiac troponin T (hs-cTnT) of >14 ng/L from presurgery to postsurgery levels, perioperative myocardial injury (PMI) occurred in one out of seven surgeries (16%) in the prospective BASEL-PMI study. Despite being at increased CV risk, 82% of patients did not show any ischemic symptoms and only 6% had chest pain. Overall, only 29% of patients fulfilled any of the additional criteria required for spontaneous acute MI such as loss of viable myocardium on imaging or ECG findings suggestive of myocardial ischemia. Senior author and long-time proponent of hs-cTnT, Dr Christian Mueller (University Hospital of Basel), said in an email, “The current evidence may justify different conclusions on which patients undergoing noncardiac operations should receive hs-cTnT screening. Likely Dr Puelacher’s is the more precise one. Patients with PMI had more CV comorbidities at baseline and a higher rate of nonelective surgery than those without. Patients with PMI had six times the 30-day mortality of those without PMI (9.8% vs 1.6%), with the excess mortality persisting up to 1 year (22.5% vs 9.3%; both P<0.001). Of special note, 30-day and 1-year mortality was comparable in PMI patients not fulfilling any additional criteria required for spontaneous AMI vs those fulfilling at least one additional criteria (10.4% vs 8.7%, P=0.684; and 22.1% vs 29.1%, P=0.47). Although the use of hs-cTnT testing was approved in the US in 2017, he’s aware of only three hospitals that do routine troponin testing in noncardiac surgery patients—two in Switzerland and one in Brazil. “We have a very close cooperation with anesthesiology and also with the surgical department, and that’s a prerequisite for actually doing this; maybe we need to look outside of our own realm to actually find this cooperation,” he added. For those wanting to screen, the researchers caution that preoperative troponin measurements are needed to reliably distinguish PMI from chronic hs-cTnT elevations. In BASEL-PMI, 51% of patients already had preoperative hs-cTnT levels at or above 14 ng/L, while 13.8% patients in VISION had their peak value before surgery. J Am Coll Cardiol. 2013;61(17):1753-1758.
the use of hs-cTn to risk-stratify patients with disease conditions other than AMI. This review elaborates on these critical issues as a means of educating clinicians and researchers about them.